One of our new bloggers, Rochelle Fisher, is a talented writer, a great manager, and a personal friend. We agree on so much professionally and are so different in our personal lives (or at least we both like to think so). She’s to the left; I’m to the right. She lives in Tel Aviv; I’m more comfortable in Jerusalem. She wrote about her Day of Love and I’m glad she did. She would have you believe that the religious in Israel are the minority; that we apparently can’t much celebrate love unless, I would assume from her post, we do it in the privacy of our bedroom and hide it from the world. She also wrote that if she wants a good steak, she’ll make sure to go to a non-kosher establishment. 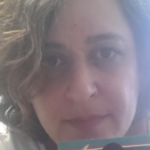 I love that Rochelle blogs here on Israel Blogger – a site started by people who happen to all be religious. I’ve heard from many of our bloggers how much they enjoy the freedom to blog here, the lack of censorship for one. Compare it to the other blogs on Israel (I won’t say “major” blogs because we’re not there yet, but with over 25 quality bloggers (emphasis on the quality), we’re on our way). Most of the others are run by a largely secular, often left wing slant – and most practice censorship and often harassment of those bloggers with which they disagree. At very least, they will “feature” their friends and co-leftists, giving them greater exposure, which leads to more page visits, which leads them to rank higher in the popular vote. But to balance what Rochelle wrote, let me tell you about love on the other side of the religious and political spectrum. 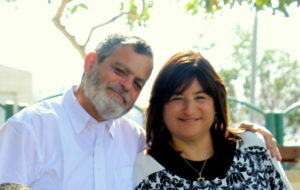 Recently, my husband and I went out to a wonderful…kosher…restaurant in Jerusalem. The steak that my husband ordered was amazing – juicy, very tasty, not chewy and most definitely filled with wonderful flavor. The portions were generous, the waiter had recently left a combat unit and we talked about what he plans to do and about the army…and his mother, who he didn’t tell everything that he was doing while he was in the army. Life is what you make it – whether you are swinging in Tel Aviv or in Jerusalem; a shared meal with a much loved partner is an occasion to celebrate – married or not. I try very hard not to judge others…and don’t want to be judged. I find it interesting that the first peace agreement Israel ever signed with an Arab country was done by the right wing and not the left; that truly open discourse often is found on the right more than the left. I find that food that is shared with a loved one is so much tastier and I’m a strong proponent of marriage because when the going gets tough, that added layer makes it much more complicated for either side to get going and so you work harder to make the marriage more special. We’ve had our ups and our downs but at the end of the day, my marriage (and my experience dining) with my husband has more than stood the tests of time and life. As to the question of whether the minority or majority of Israelis are secular, that too is a wonderful shade of gray. The pizza delivery person has an earring, a tattoo, and a funny haircut I’d probably kill my one of my son’s if they came home with…and he kisses the mezuzah of my house when he leaves. The lawyer with whom I spoke yesterday is decidedly “secular” by most standards, and yet in our conversation, when I explained they my parents had been sick recently, he blessed them with help and later said, “with the help of God” and more. According to Haaretz (may they burn and go out of business and let us all say, “amen”), 93% of all Israelis attend a Passover (Pesach) seder. A 2013 survey showed that 73% of Israelis fast on Yom Kippur. During two wars, my oldest son often told me about how it was the supposedly secular soldiers who grabbed tradition (asked to use someone’s tephillin, took tzitzit supplied by the army, joined in the prayers, etc.). What is secular and what is religious? Is the divide really so great? Do we really love so differently? I don’t think so. I think that Rochelle and I are more alike than we are different; that a good steak can be kosher or not and it’s more the chef than the meat that infuses a chunk of meat with flavor. I think it’s more the couple that determine the level, the layers, the longevity of their relationship. And though my husband and I do kiss in public, it’s what happens in the privacy of our lives that determines the depths of our love for each other. Don’t mistake religiosity as a marker for the quality of the human or the love that they can feel. There are amazingly good people who are amazingly secular, or so they’d like to think. And there are amazingly kosher chefs who make amazing food. 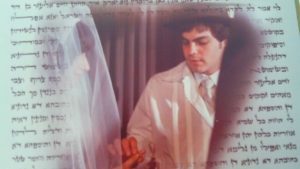 Israel is blessed to have a day of love that we mark each year – oh and Tu b’Av…its origins are in the Bible and in the Talmud and is yet another nod towards our traditions, a celebration of our history and most decidedly yet another example of how seemingly “secular” holidays aren’t really nearly as secular as one would believe. https://en.wikipedia.org/wiki/Religion_in_Israel: A Gallup survey in 2015 determined that 65% of Israelis say they are either “not religious” or “convinced atheists”, while 30% say they are “religious”.